As I mentioned in my last blog post, Marco and I went to Dordrecht about a week ago to do a stadswandeling in Dordrecht (that’s a walk around the city). After that was done, we doubled back to visit Voorstraat. People say Voorstraat is the longest shopping street in the Netherlands. Of course, such an achievement does come with a price in today’s economy: there are some empty stores. Not a lot, but enough to be noticeable. 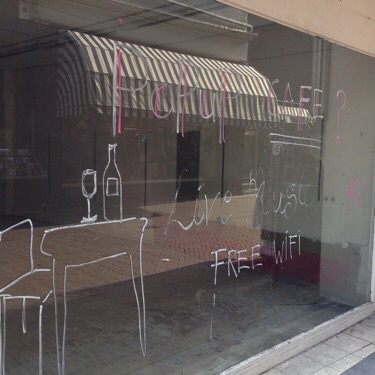 Here’s an idea for this empty store: a popup cafe with free wifi! Some graffiti points out the fact that the store has been empty for over three years. But the main purpose of it is to point out what the store could be used as (apparently if the city government cared enough to do something about it – I suspect it isn’t as easy as the graffitist hopes, though). But other ideas for popup stores (always illustrated by graffiti) include music stores, bike rental stores, and a biological store. 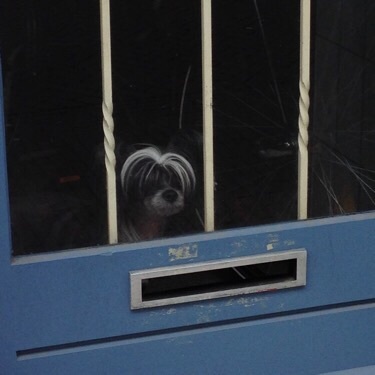 More information about the graffiti and pictures can be found here (in Dutch). Marco and I took the day off on Friday and we decided to visit Dordrecht, a small town outside of Rotterdam (the credit goes to Marco for the idea of what to do). 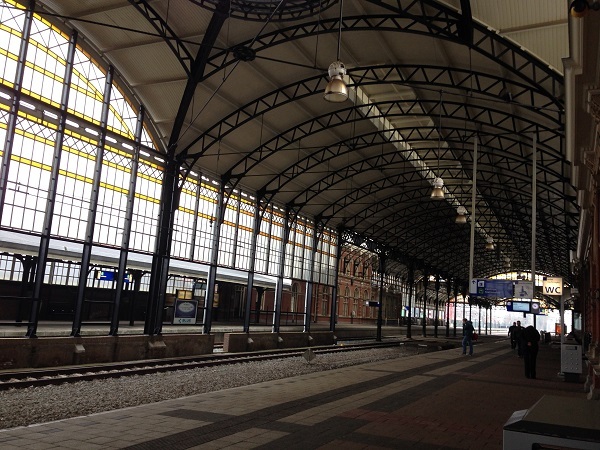 It is about 35 to 40 minutes by train traveling from The Hague. We did a walking tour of the city (Rondje Dordt – page in Dutch) which was about 3km long and showed the sights of the city.